Real verified customer reviews of Ooma Office. Thank you for your feedback. We'll publish it upon review. Great product that stops most unwanted calls. Ooma stops most unwanted calls once you tell the computer to do so. I wish it could stop all calls that are from out of the city! We have only been using it since December, but it has made my life so much easier. The streamlining of phone calls and the automated attendant is a God send. My brother-in-law loves gadgets. When he recommended that we ditch the landline and get an Ooma, I was skeptical. I am so thankful we took the plunge. 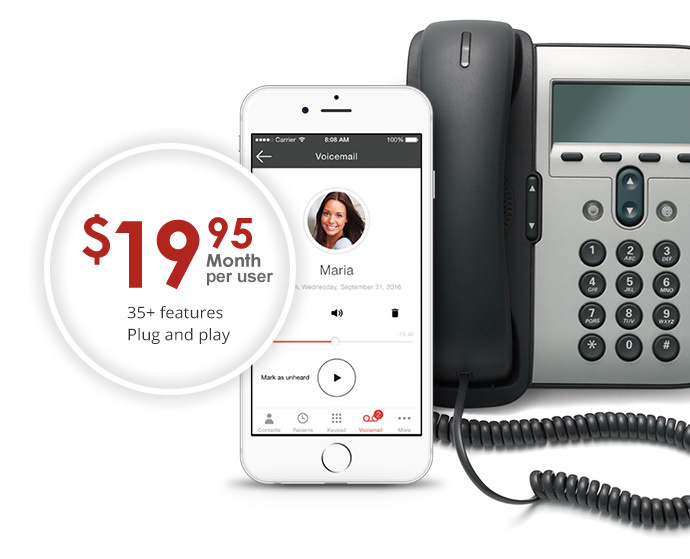 After successfully using the Ooma Telo as our landline for a couple of years, we even switched our office phones over to Ooma Office. We couldn't be more thrilled with all aspects of Ooma...the quality, the savings, the customer service. Ooma is the whole package! Top three benefits of Ooma Office- keep your number, extension dialing, easy set up. The ease of use is pretty much the main reason to have OOMA as your primary business phone provider. My favorite feature is the ability to call a client from my personal cell phone (using the OOMA app) and make it appear that I am calling from my business number as opposed to my personal cell number. I really love that! Ooma Office has greater competitiveness with current local monopolies, Versatile setup - Creates phone plugins without the wiring expense, Better North American Coverage for a cheaper price. We are a small engineering firm. Having the Ooma system allowed some of our staff to work from home and still seem professional. Our top 3 benefits of choosing Ooma Office are the savings, no contracts, and the ability to keep your number. Ooma Office offers reliable business phone service with advanced enterprise-grade phone features like a virtual receptionist, extension dialing, conferencing and music on hold. When your business grows, Ooma Office can expand with your needs.